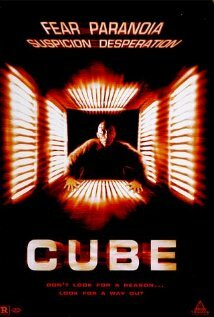 Most did n ot know what to make of The Cube when it first arrived to the big screen. This horror movie was unlike anything else that had aired in 1997, and that is because a rotating death trap had never been attempted. All of the people inside this trap must use their skills as well as knowledge to find a way back outside. Of course, The Cube is not a movie that children should watch by themselves. The gory scenes that are in this movie would probably give a young child nightmares. That makes it a good movie for adults that enjoy a good scary. To learn more, go to http://www.imdb.com/title/tt0123755/?ref_=tt_rec_tt. This movie gets a four out of five popcorns rating.